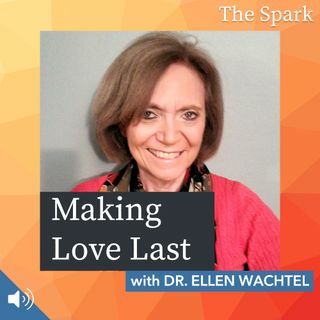 This week our guest is Dr. Ellen Wachtel. Ellen has a Ph.D in clinical psychology from New York University as well as a law degree from Harvard Law School. She has been a couples therapist for over 30 years and taught thousands of couples how to have a loving relationship that will endure through the decades. Dr. Wachtel is the author of the ... See More book We Love Each Other, but... Simple Secrets to Strengthen Your Relationship and Make Love Last.